We Still Can't Comprehend The Power Of Aretha Franklin's Voice No one's voice has ever soared like this. Aretha Franklin's music regularly disclosed a vulnerability and insecurity residing within the head that wore the "Queen of Soul" crown. Aretha Franklin is dead and we still, 50 years after she made her artistic and commercial breakthrough, can scarcely comprehend the still-shocking power of her singing. Aretha Franklin must have understood early on what fame was like, as the daughter of the immensely popular Detroit preacher C.L. Franklin, whose sermons had made him a recording star. Aretha Franklin was raised singing gospel, was enraptured by the romanticism of the Great American Songbook, and felt the power of rhythm & blues in her bones — she always had ambition. She was a feminist by example: Once she took hold of her career at Atlantic Records in 1967, she allowed no lyric to overrule her interpretation, no producer to shape a performance in a way she did not intend. Franklin became a pop star at a time when soul, rock, pop and R&B mingled promiscuously on the radio. 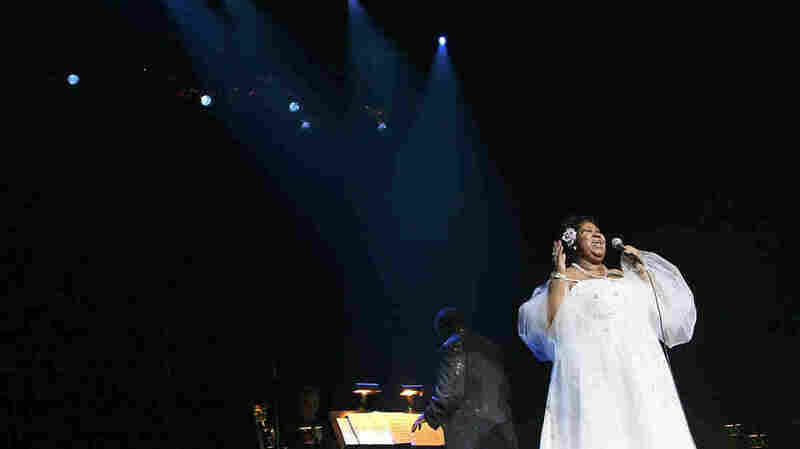 This enabled her to reach young white rock fans as well as the age-spanning black audience that always marveled at the technical prowess of her voice and her phrasing. This kind of popularity meant that no one batted an ear when she covered The Beatles' "Eleanor Rigby" or indulged her fondness for schmaltz by cutting the Frank Sinatra anthem "That's Life." Franklin's sound pre-dated all of the vocal histrionics that characterize the recent era of TV shows like American Idol and The Voice — she could over-sing and over-emote more extravagantly than any of those would-be pop divas. And unlike them, she could also reign in the histrionics to give immensely subtle shadings to lines — to individual words. For all her regal bearing, the key to the emotion in Franklin's singing is very often her unsure sense of self. Her music regularly disclosed a vulnerability and insecurity residing within the head that wore the "Queen of Soul" crown. She sang with a mighty assurance about being shaken and shattered by love gone wrong. Franklin's genius strategy was to seem as though she might be on the verge of losing control of her performance, while maintaining impeccable command. This is true whether we're listening to an early hit like "Respect" or her staggering 2015 Kennedy Center Honors rendition of "Natural Woman" in front of a visibly moved President Obama. Franklin never at any point in her career lost the ability to give incandescent concert performances, but that's not to say that you could rely on her — her shows could be unpredictably listless or disorganized or sullen. Genius makes its own demands on its admirers. Franklin was like her work: passionate, yes, but also complicated and ultimately unknowable. No one's voice has ever soared like this. No one has ever seized at lyrics and made them do her bidding the way she did. No one has ever given us pleasure with such full-throated abandon as Aretha Franklin did, and does.